Spring is nearly here. Yay! We can turn down the heat a few degrees, the birds are starting to sing outside early in the morning, the first BBQ plans of the year are being made and... the annual spring cleaning needs to be planned! No worries! Relax and wipe off that cold sweat, because this year you can get the job done without any panic attacks! Because we at Rubio Monocoat are well aware that this is not the most exciting way to start spring, we’ve created this great Rubio spring cleaning action plan for you! This is only for wood surfaces treated with Rubio Monocoat. Follow the action plan steps and make your spring cleaning easy and stress-free this year. 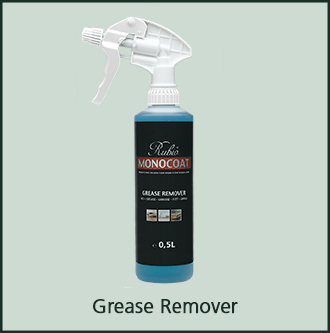 Remove all dirt and grease thoroughly with RMC Soap. Proceed as follows. Find all the spots on your wooden furniture (parquet, coffee tables, worktops, etc.). Remove the spots with the RMC Surface Care. This is the handy, ready to use version of RMC Soap. Suitable for fast cleaning of small floor surfaces and local spots. If you don’t have the RMC Surface Care, you can use the RMC Soap if you have mixed it with the right amount of water. Look for the treated spots. If you can no longer find them: great! 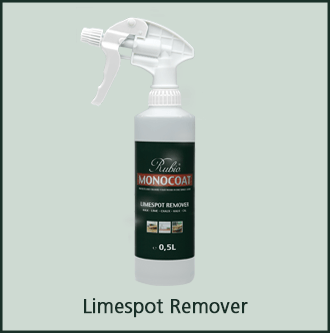 If you can still see them, use our specific spot removers. Figure out which spot remover you need by clicking on them. Then follow the steps. Finally, you can freshen up your wood so it will stay in top shape again throughout the year. That’s what you need RMC Refresh Eco for. A ready-to-use sprayable product that refreshes and restores all wooden surfaces that have been treated with oil. Now you’re completely done cleaning and freshening up your wood surfaces. The only thing left to do now is enjoy the result. To enjoy the result optimally, you can treat yourself to a piece of pie. Because you deserve it! Clean maximum once a week with RMC Soap or RMC Surface Care. Cleaning too often or with too much RMC Soap or RMC Surface Care may leave a thin layer on the surface, which dirt and dust may adhere to. If the treated surface shows too much wear and tear, or needs a colour repair, maintain with RMC Oil Plus 2C in the original colour. Do not leave any water on the surface, a damp-clean is sufficient. Do not walk on the floor until it is completely dry. The best working method is with two buckets: one with the soap mixture and one with clean water to rinse the dirt out of the mop. 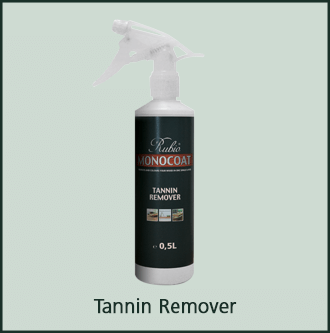 After a treatment with RMC Limespot Remover, RMC Grease Remover or RMC Tannin Remover, you may need to apply some oil in the original colour on the spot.